Unlike Margate, it’s probably not going to be as logistical for Sports Team to play a show on the M5. Nevertheless, it’s the title of their brand new single, their first of what is set to be a pretty damn huge 2019 for the gang. 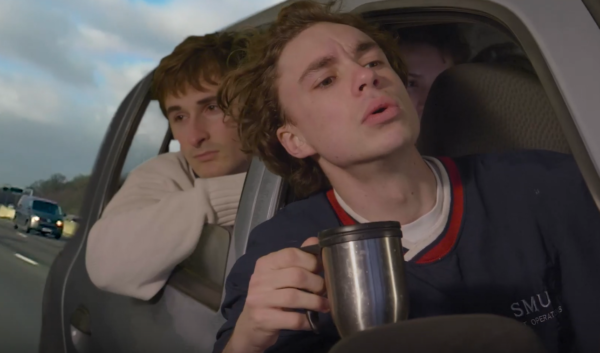 It’s another bullish and emphatic example of the band’s brazenness, even if it just embodies the idea of enjoying simpler things in life, a surprisingly optimistic turn of direction. Encapsulating the sheer reward of getting to drive on a clear motorway in the south of England amongst the most unfavourable of service stops and speaker phone-wielding under-takers, it’s another brilliantly witty and purposefully ostentatious take, Alex Rice undulating in his delivery as they rack up another smash of a chorus to wield against the drab and dreary.